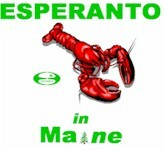 Welcome to Esperanto in Maine! Bonvenu al Esperanto en Majno! See the Tree of Facts about Maine in Esperanto.